Weed tourism: Watch out, wine country—Colorado and its marijuana is coming for your tourism dollars. Is Colorado—and its pot supply—ready for weed tourism? Matt Brown stands amid the lush green foliage of a 14,000-square-foot indoor marijuana grow facility and spins his vision of marijuana tourism. It resembles a trip to wine country. Out-of-state visitors, picked up from the airport in 30-seat passenger limousine buses (on which smoking will be permitted), will disembark in this warehouse district of Denver and receive an all-access tour of the growing operation, which is owned by a friend of Brown’s: The “mother” room, where the clones are born; the grow rooms, where the plants mature; the trim room, where the final product is sliced and diced. Afterward, there might be time for the group to take a pot-cooking class at a nearby cooking school—just so long as they make it to the private facility that’s been rented out in time for the tour’s daily “happy hour,” occurring promptly at 4:20 each afternoon. This isn’t wishful thinking. Brown is the owner of My420Tours, one of a handful of operations that are launching to cater to all those visitors from out of state (and out of country) hoping to experience for themselves Colorado’s marijuana experiment, which became legal on Jan. 1. He says 4,000 people have signed up to be notified when he announces his first slate of four-day “Colorado Cannabis Sampler” tours, which will cost between $1,200 and $1,400, not including airfare. He’s hoping to appeal to marijuana connoisseurs, rather than just frat boys hoping to get high, since the latter need more chaperoning and tend to break stuff. It’s why, among his themed tours, he’ll be offering a swanky romantic getaway over Valentine’s Day weekend, which will include ballet tickets, a couples’ massage, and a glass-blowing class where people can make wine glasses or personalized bongs, for a per-couple price of $3,000 to $5,000. Sure, visitors don’t need all this rigmarole to sample Colorado’s pot, but who wouldn’t want an all-access, behind-the-scenes tour of the first place to legalize marijuana? “It’ll be like going to the zoo for the first time as a kid,” says Brown. State-licensed marijuana businesses—growers, marijuana-infused product manufacturers, and marijuana retailers—can’t advertise out of state, so you won’t be seeing Releaf Center ads in Condé Nast Traveler anytime soon. But there’s nothing to say that nonlicensed, marijuana-related entities, such as weed-themed travel agents and hotels, can’t do so. Thus, My420Tours can advertise anywhere it chooses because it doesn’t sell marijuana to its tour members. Visitors on Brown’s tours will either buy their own product from licensed growers or receive it as a gift from My420Tours. While only licensed entities can sell pot, Colorado law permits individuals to give away up to an ounce of marijuana without remuneration. The enterprising Brown plans to offer “free” samples of up to a couple grams to his tour participants. Tourists arriving in Colorado will find a number of rules that apply to them as well. (Many of these rules are helpfully explained in a glossy, bilingual handout required at all Denver points of sale and detailed in a discouraging city website.) Nonstate residents, for example, can only purchase up to a quarter-ounce of pot at a time, compared to the full ounce Colorado residents are allowed to buy. And while people are allowed to visit grow facilities, there has to be at least one employee present for every five guests, which means that if Brown wants to bring a 30-person tour group to a grow house, there will have to be at least six grow workers on hand. Ever notice how folks in the Netherlands are often spotted smoking their marijuana remnants at the last train stop before entering less pot-friendly Germany? You might see something similar on Colorado’s borders, as visitors can’t bring their leftover pot home with them as a souvenir. There are already enough accounts of law enforcement in neighboring states like Kansas looking for drivers leaving Colorado with marijuana that both Colorado rule-makers and marijuana advocates are considering purchasing warning billboards at the state line. This is why Brown is planning to rent a lot of private, covered facilities for his tour groups, and he’s partnering with hotels where most rooms have balconies, since guests can toke on them without running afoul of no-smoking rules. (The last-minute cancellation of a big “Cannabition” New Year’s Day event Brown had scheduled at a major downtown Denver venue suggests his plan to throw private-event pot-smoking parties might still be a flashpoint.) The ban on public smoking is also one of the reasons why portable pot vaporizers, or vape pens, are becoming a hot commodity in Colorado. The discreet, pen-sized devices, similar to e-cigarettes, electronically heat marijuana, producing minimal smoke or aroma. That means it’s easier for folks to use them in public without attracting attention. Naturally, Colorado’s vape industry is actively courting marijuana tourists. Open Vape, a major local vaporizer company, recently named as executive vice president of corporate development Todd Mitchem, who formerly worked as an “experience manager” at Universal Studios. Open Vape is building a visitor-friendly “dream room” in its new downtown offices explicitly modeled after Microsoft’s “Home of the Future,” an interactive concept home on the computer company’s Redmond, Wash., campus. 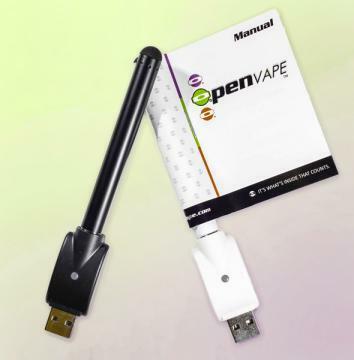 “There is certainly a stealthy aspect to it, but we don’t want people doing anything that would put others in danger,” says Mitchem of Open Vape’s $25 devices. 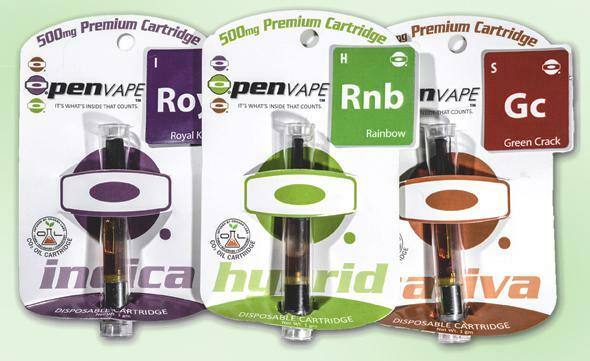 That discretion comes at a premium—the 250-milligram cartridge of marijuana concentrate Open Vape produces at its licensed grow facilities for use with its “O.pen” retails for $25, compared to the $10 people might pay for 250 milligrams of marijuana concentrate at most Colorado dispensaries. But the biggest question facing Colorado’s cannabis tourism industry could put a damper on all these vaporizer dream rooms, grow-facility tours, and marijuana-friendly concierge desks: Will there be enough pot to go around? There’s good reason to be skeptical. Lines around the block typified the first week of retail sales, and headlines warned potential recreational consumers that stock on hand was growing increasingly scarce. State regulators have been pondering the question of supply and demand since Amendment 64 passed in November 2012. Since the amendment didn’t make provision for growing recreational pot prior to Jan. 1, 2014, the industry faced the specter of having to wait several months into 2014 until the first commercial crop could be grown, dried, and prepped for market. To avoid this mellow-harshing, state regulators came up with a rule that would allow medical marijuana businesses that were entering the recreational market to designate some or all of their medical crop for recreational sale. In theory, then, there should be plenty of reclassified pot to go around now that legalization has taken effect. But is that how it is actually working in practice? For the first nine months of 2014, the only Colorado businesses that will be selling recreational pot are those that were previously medical marijuana operations. But far from the weed rush many people predicted, only 136 of the 517 dispensaries currently operating in Colorado applied for a recreational sales license. Why the lukewarm response? Likely because the recreational marijuana system is so untested that many operations were worried about the impact on their already thriving businesses. The medical marijuana industry in Colorado has been rolling along, and many operators find themselves able to sell all the weed they can grow in a medical dispensary. To compound the problem, there doesn’t seem to be any way to move the marijuana back to the medical system if the recreational system hits snags; this is a one-time, one-direction transfer. So for the time being, many dispensary owners are hedging their bets, biding their time in the stable medical marijuana market, and growing new product for the recreational market. As a result, prices are high in the few recreational stores that have opened, and no one is sure just how long the pot will hold out. So what happens if Colorado throws the nation a weed party, but there’s not enough weed to sell to our guests? It’s possible that all these wrinkles will be ironed out before the first My420Tours group rolls through the state. Brown, after all, won’t be launching any of his tours until the end of January. That’s because most Denver hotels are already booked for the month for the National Western Stock Show, the 108-year-old Western extravaganza—featuring rodeos, livestock exhibits, and kid-friendly events like mutton bustin’—that has long been one of the state’s biggest events. For the time being, in other words, Colorado’s new tourist attraction will need to play second fiddle to its old one. Next up: Colorado’s recreational pot industry is open for business. Will those involved be rolling in profits? 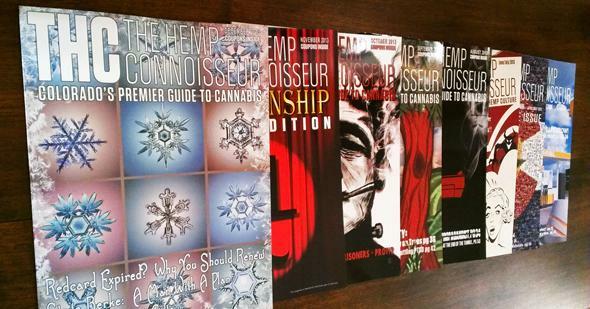 To find out, we found a local dispensary willing to let us go through all their books. Correction, Jan. 10, 2014: This article originally stated that the state of Colorado made $329 million in sales-tax revenue from medical marijuana during the past fiscal year. Colorado dispenaries, not the state, made $329 million in revenue.